Eileen at Eileen’s Machine Embroider Blog explains that September is not only National Sewing Month but it’s also Ovarian Cancer Awareness Month. She invites you to “… join us in making scarves for cancer patients. Our goal is to collect 10,000 scarves – that’s a lot of scarves so we’re going to need your help.” You can visit each of the stops on the blog tour and pick a favorite project or two and make a scarf. Visit her blog to find out the participants. You can send your scarf to them to be donated to a local cancer treatment center in Dallas, Texas or drop it off at participating sewing machine retailers all across the nation. The list of dealers is growing – just look for the Love My Scarf Bin in your local shop. Eileen says, “If you don’t spot, ask for it.” Find out more and check out Eileen’s tutorial for Momma’s Embroidered Do-Rag. 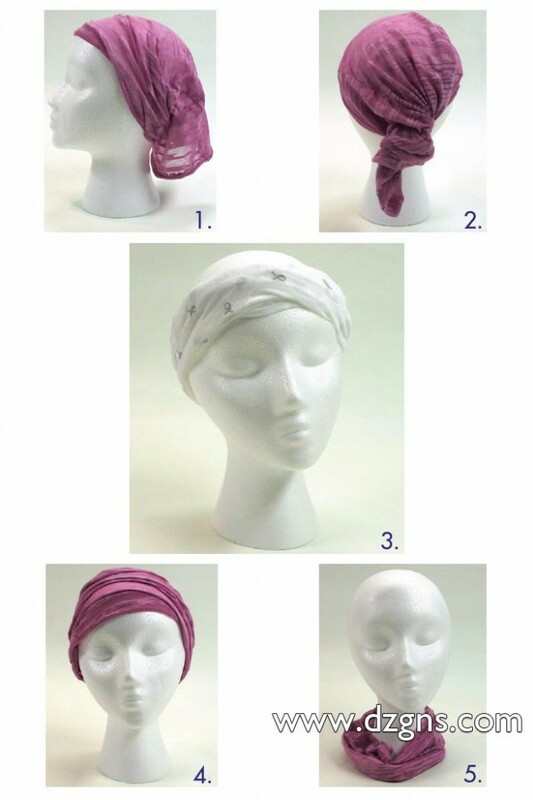 Shown here are the many creative ways to wear the Do-Rag.